So a few weeks ago I turned 27 and not only was I stressing about getting old but also that I didn’t have any plans. I had booked some time off, but as it was a Tuesday I was pretty sure everyone else would be at work. 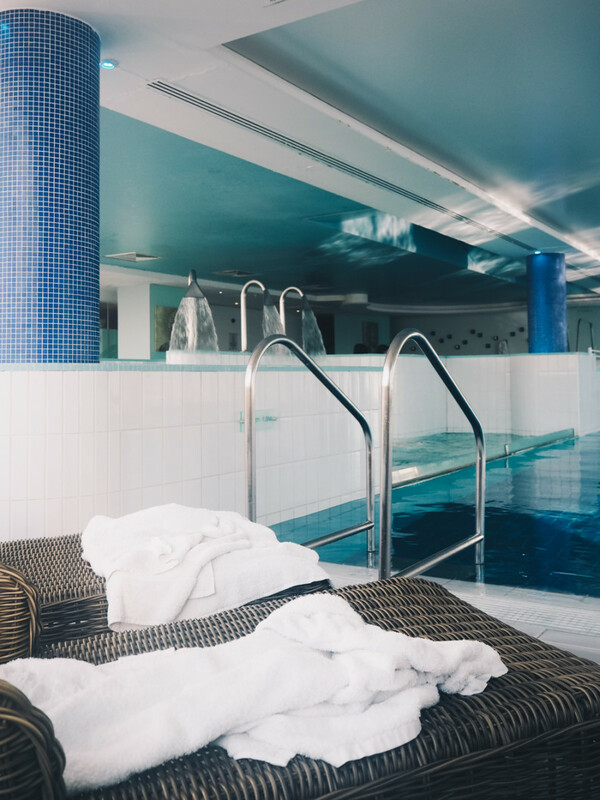 So it was the luckiest coincidence that St. David’s Hotel reached out about reviewing their Marine Spa and totally saved me from a boring birthday. 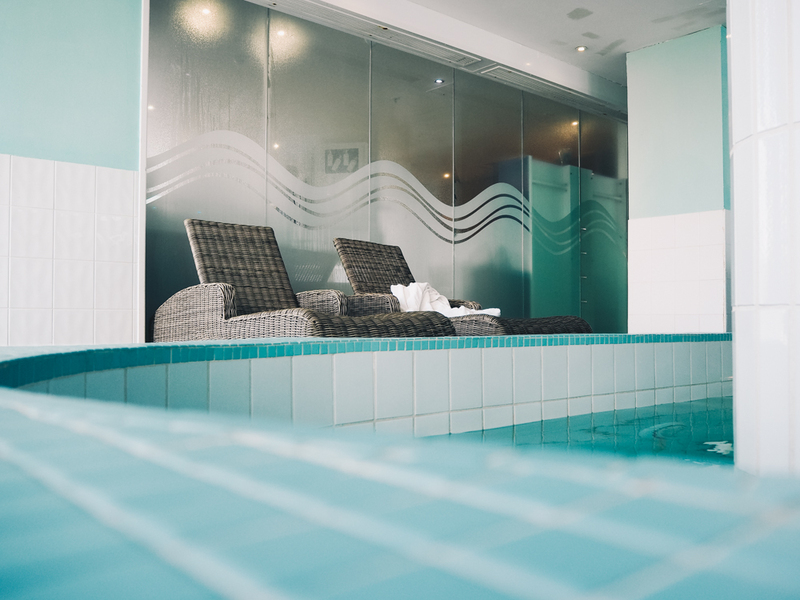 The spa has been ranked one of the top 5 in the UK by Condé Nast Traveller, so I knew it was going to be amazing. 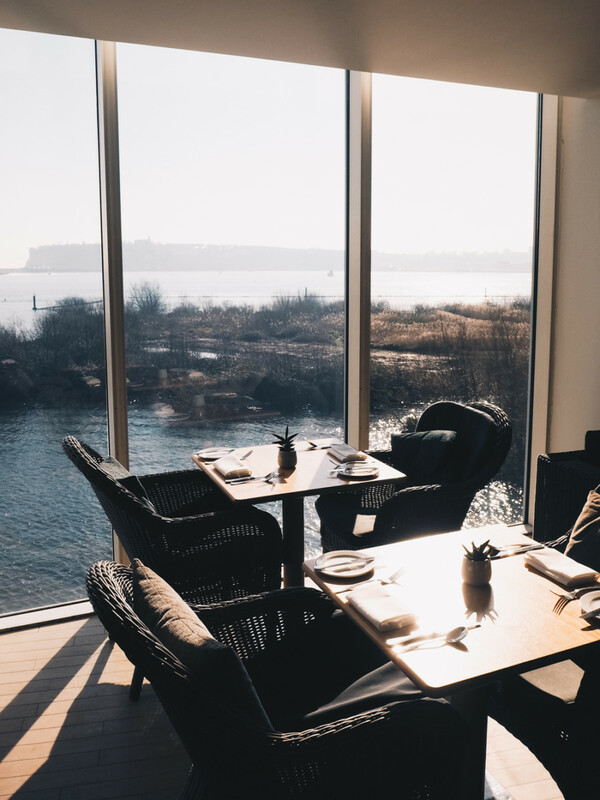 I was also excited because I really love the hotel, the decor is beautiful and it has some of the best views over Cardiff Bay. I highly recommend grabbing a drink at the bar and sitting on the balcony if you don’t believe me! As part of my day the team booked me in for a facial at 2pm so I decided to head to the pool for a few hours before, to make the most of my day pass. When I got to the front desk the girls gave me a key for my locker which was stocked up with my robe, towels, flip flops and some skincare goodies from the spa. How amazing is that? It was such a nice touch and it made me feel really welcome right from the get-go. It’s that insane attention to detail, from the moment you get there that makes the whole experience really special. Once I was ready and feeling super glam in my spa dressing gown, I hit the pool. It’s in the most gorgeous location, right on the top of the hotel and overlooking the bay. 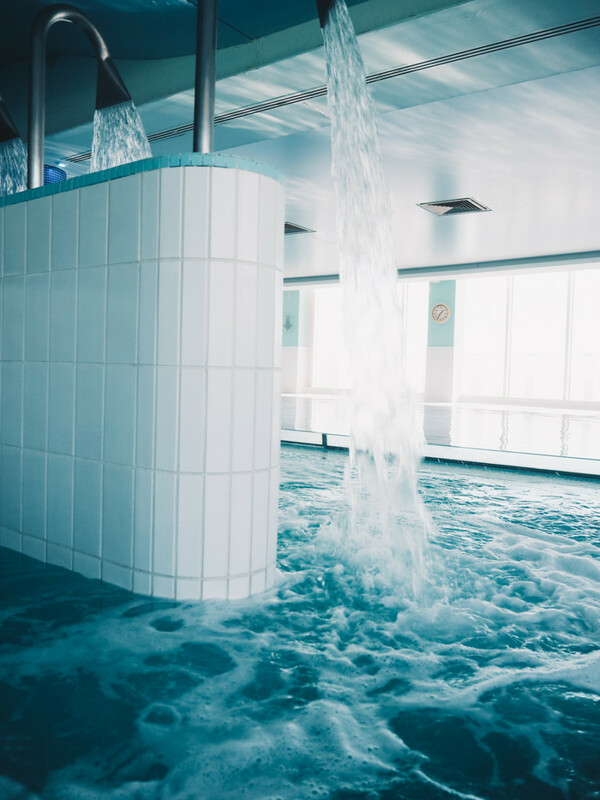 There are two hydrotherapy pools, as well as an exercise pool and a sauna, alongside loads of lounge chairs for ultimate relaxation. I decided to head to the hydrotherapy pool with the fountains first as it had the best views. The water in these pools has been treated to replicate seawater so it’s rich in minerals and sea salts. These are really beneficial to your skin and help to plump, hydrate and detoxify while you relax. So not only do you feel better when you get out but you look amazing too. You can literally lay in the hydrotherapy pool and watch the boats sail by, it’s like a movie and so relaxing. The way the two pools are laid out there’s loads of room too and plenty of privacy, so you don’t feel like you have to wait for a space. My favourite spot was in the main pool at the end as the seats are way bigger, you can lay down and totally relax. It was so peaceful and it was lovely to have a swim or just sit in the bubbles for a few hours and think about nothing. After I was feeling totally zen, I decided to hit the sauna to give my skin a boost. There was loads of room which is perfect as I love laying down and letting the dry heat work its magic. 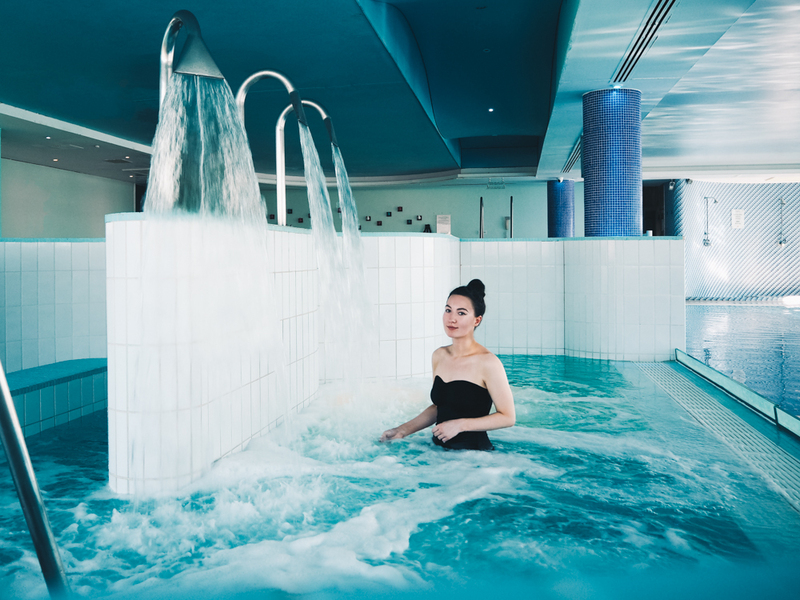 It’s great for rejuvenating your skin and perfect if you’ve been to the gym as it’ll relax your muscles, ease joint pain and improve blood flow. They have 10 treatment rooms upstairs, a relaxation room and spots to get your nails done for a total body pamper. I was booked in for the Ishga facial with a super relaxing neck and shoulder massage followed by a facial using their organic seaweed based products. 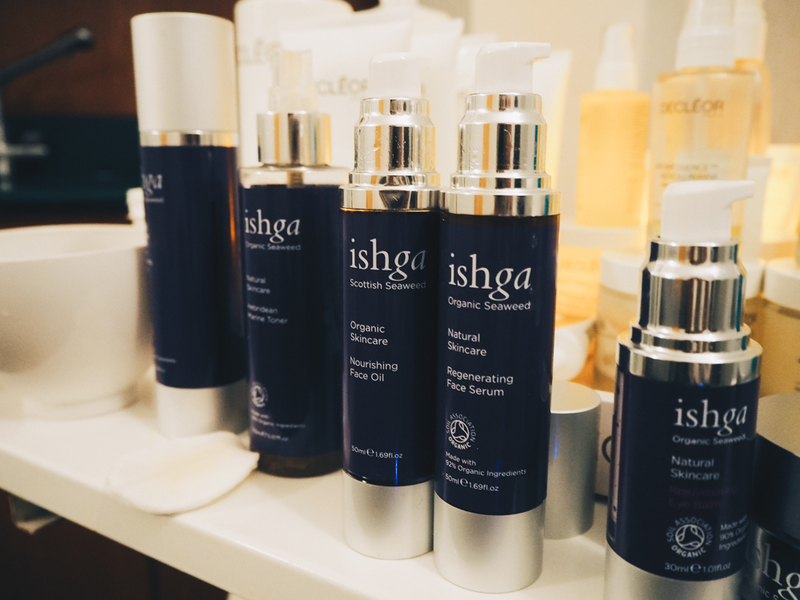 The Ishga brand was actually founded in Scotland by a husband and wife team. They use organic seaweed to make skincare products which harness the anti-oxidant and healing powers of the seaweed. I was so excited to try this as I love discovering new brands and it was a great introduction. My facial was amazing, the products were really gentle on my skin and it even included the mask where they pour the product onto your face. The products were mainly oil based and as my skin was quite dry it was a total godsend. 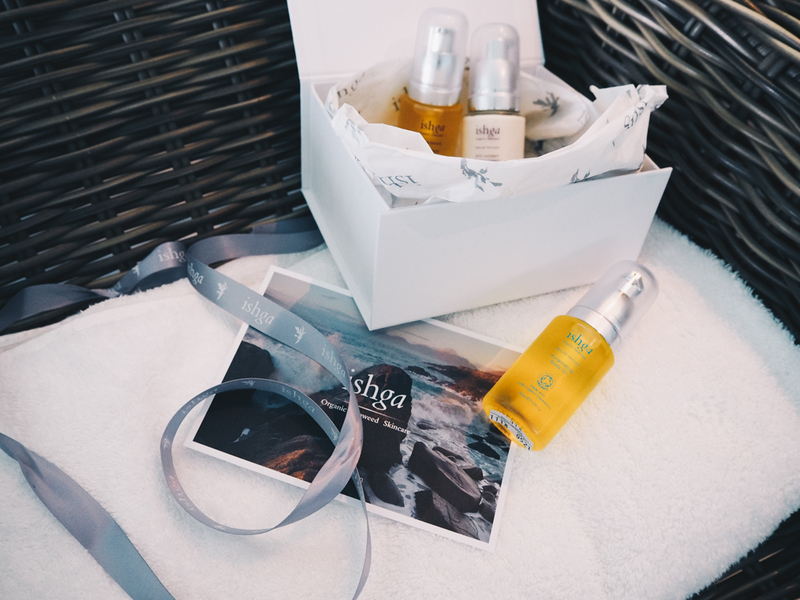 My favourites in particular were the Regenerating Organic Face Serum and the Nourishing Facial Oil which you could easily work into your skincare routine. This day was such a nice treat and it made me realise how important it is to take a break from reality. I’m actually thinking of becoming a member, as it’s really close to the office and would be a great way to unwind after a long day. If you’re feeling the same and would love a pamper then you can check out their spa menu here for a full list of treatments. It was a great experience and I’m so grateful, what a birthday to remember! Such a gorgeous place! You should definitely go back 🙂 It’s always good to treat yourself, right?